This large piece of fused glass art is in a hospice in Essex. There has been a big redevelopment of part of the hospice and this includes the addition of many beautiful canvasses of single blooms. The photos of the blooms were all taken from plants in the grounds of the hospice by volunteers. 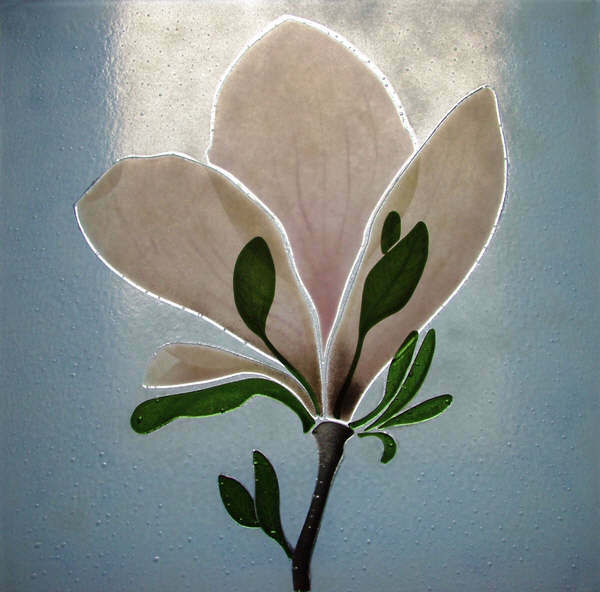 My brief was to produce a single piece of fused glass art depicting a single magnolia flower from the hospice garden. 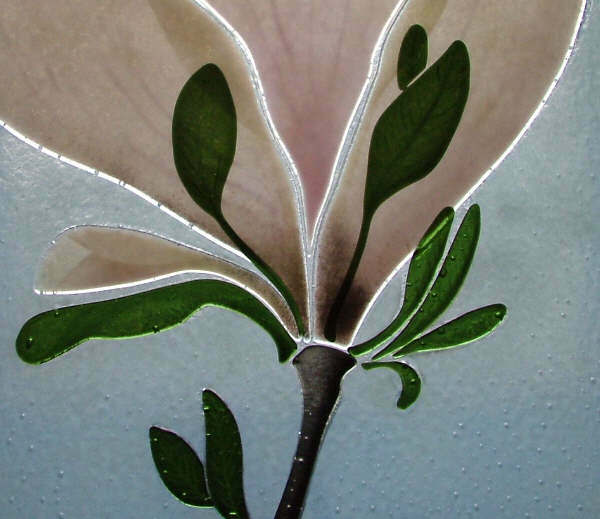 This fused glass is fitted into a bespoke light box which is hung in the viewing room. A sombre place where relatives are able to say their goodbyes to a loved one. I have chosen a quiet blue powder for the background and subtle pinks and vanilla for the petals. The flower has been fused separately 5 or 6 times to build up the colours slowly. I feel privileged to have been asked to make a piece of fused glass for such a sensitive area. The panel is 60cm ( 24in ) square. Error: Error validating access token: Session has expired on Monday, 08-Apr-19 03:56:55 PDT. The current time is Friday, 19-Apr-19 12:03:42 PDT.